Where do goats come from and how long do goats live for? 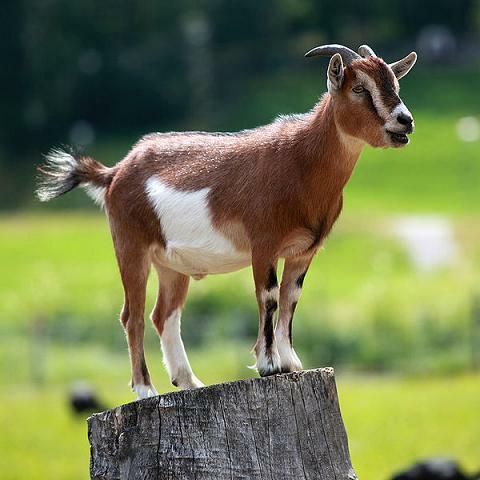 The domestic goat is a subspecies from the wild goat that came from Eastern Europe and Asia. One of the oldest domesticated species of animals, goats have been bred by humans for their milk, meat, skin, and fur. There are over three hundred different breeds of goat, and they are closely related to sheep. The earliest evidence of domesticated goats were found in Ganj Dareh in Iran and are 10,000 years old. Goat remnants have also been found at archaeological sites in Jericho, Cayonu, and Chogha in western Asia. Female goats are known as nannies, and their offspring are called kids, duh. Most goats are really smart and can be trained to do pet tricks. If you decide to keep one as a pet, make sure you have a good fence or they will escape. Thor, the god of thunder has a chariot that is pulled by goats according to Norse mythology. When he sets up camp at night, Thor eats the meat of the goats, and leaves the bones. That sounds really sad, except the goats come back to life in the morning to pull the chariot. Weird right? Goats can live for 15 to 18 years, and there was one really old goat that reached the age of 24. What do Goats Eat and Why Do Goats Eat Anything and Everything in Sight? How Did Nanny Goats Get their Name and Do Nanny Goats Take Care of Kids?